Goodbye to Bud Thomas, a one-month player for the 1951 St. Louis Browns. Thomas, who died at age 86, was overlooked by collectors searching for players who appeared in major card sets or played on winning teams. Sad. I missed him, too. The intrepid www.sportscollectors.net says that Thomas responded to 14 of 15 requests over the years, adding cards and photos as bonuses, along with answered questions and notes. There are good signers still out there, storytellers waiting for your letter. Don’t make them wait forever. 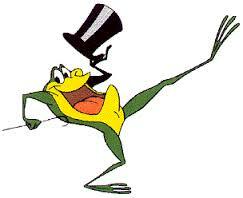 Do you know the classic Warner Bros. cartoon One Froggy Evening, directed in 1955 by Chuck Jones? Seen it? There’s one great life lesson there. Please, check it out. I’ll wait. I thought I had found a singing frog when I stopped by a recent rummage sale. Under the FREE sign, I saw hundreds of seemingly-new envelopes. Blank. Humidity had moistened the glue on their backs. Hey, I had watched enough movies and TV shows. Steaming open envelopes to read secret messages. Away I ran with my lucky find. I could reverse time and make the envelopes perfect. Good luck with that trick, folks. I straightened my hair and unclogged my pores. However, the boiling water didn’t help much with the sealed envelopes. I’m hoping to see the recycling man with the same gleam in his eye, with a face just like in the cartoon. Just like my greedy grin looked. He can take his turn trying to spin straw into gold, or stuck envelopes into new ones. Meanwhile, if there are any talented envelope rehab specialists out there, share your secrets. I’d love to make you famous. 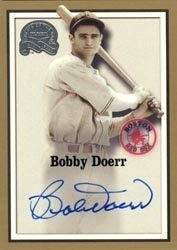 All these years later, I’m still stunned at Bobby Doerr. I had to offer this repeat viewing of his kindness and respect shown to all collectors. The always-amazing www.sportscollectors.net notes that he’s signed more than 3,000 TTM requests. Cooperstown: we need more hobby ambassadors like Bobby Doerr! The White Sox host the Mariners Aug. 30. The first 500 fans to buy a “special” ticket (at $25 or $30) get to take selfies with players and coaches walking along the warning track. I see online that some in-person collectors like selfies as a way of authenticating the autograph they just landed. 1. Has anyone had luck getting your selfie autographed at a later date? 2. If you had to choose only one, would you rather ask for an autograph or a selfie? 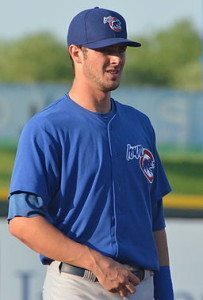 The Iowa Cubs are continuing a hobby tradition: Autographed Ball Giveaway. I first wrote about the tradition in 2011. Thankfully, the team includes an ID note with each baseball. Not that a current player would ever have questionable penmanship! Great collector-friendly idea. Great organization. Ask your favorite minor league team why they don’t do the same.